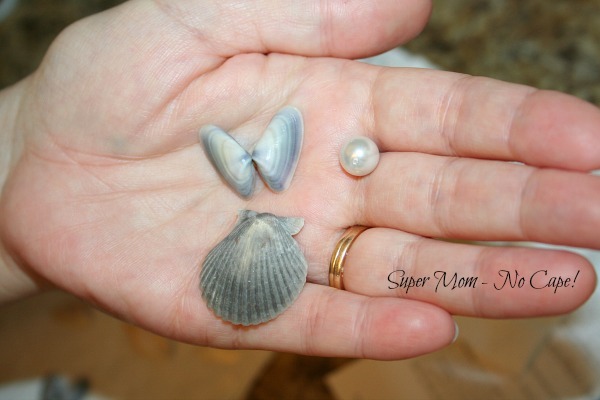 If so, get ready to make some sea shell angels! One 3/8″ white pearly bead (<-affiliate link) for each angel. Approx six inches of 1/8″ ribbon to make the hanger. 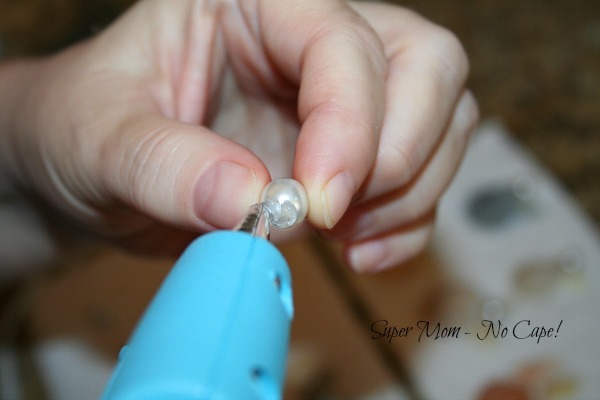 Please note: When I was making the angels, I used a low temp hot glue gun but if you are making them with younger children, I would suggest using Aleene’s Tacky glue. 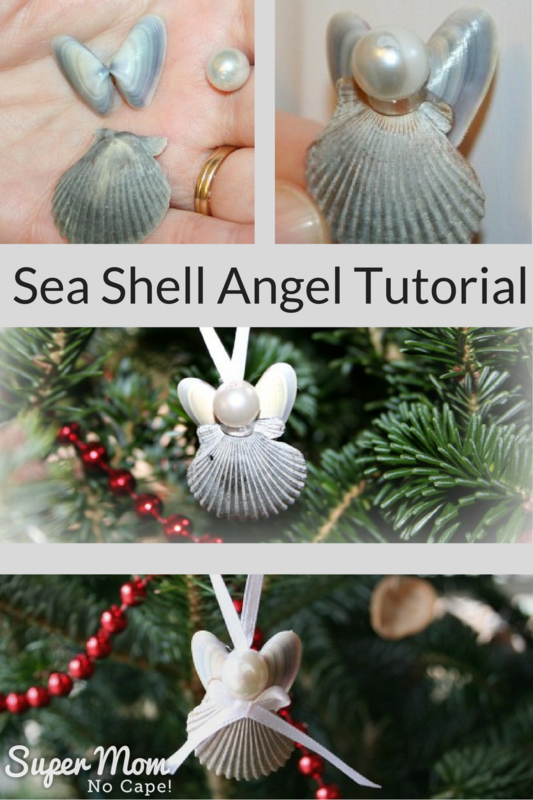 I made a test angel using the tacky glue before writing this tutorial and the glue holds the shells together really firmly. It will take longer to make the angels using tacky glue because you have to allow the glue to set and dry for a few hours between each step, but it’s much safer. Even a low temp hot glue gun gets hot enough to burn little fingers. 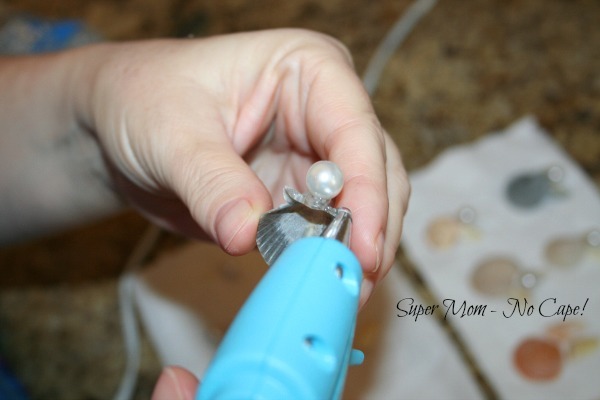 Start by applying a circle of glue to the bottom of the pearly bead. 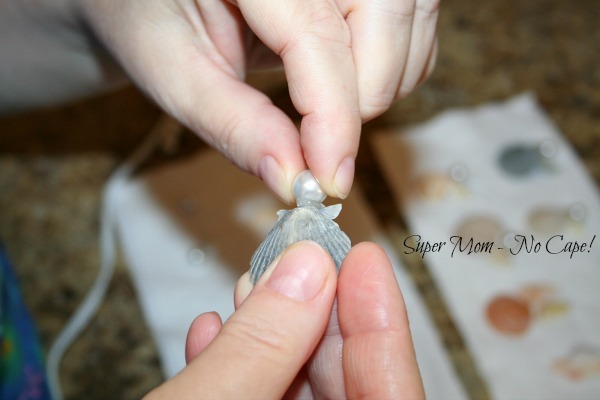 Then position the bead on the top edge of the scallop shell. Hold in place until the glue sets. Next run a bead of glue along the top edge of the back of the scallop shell. 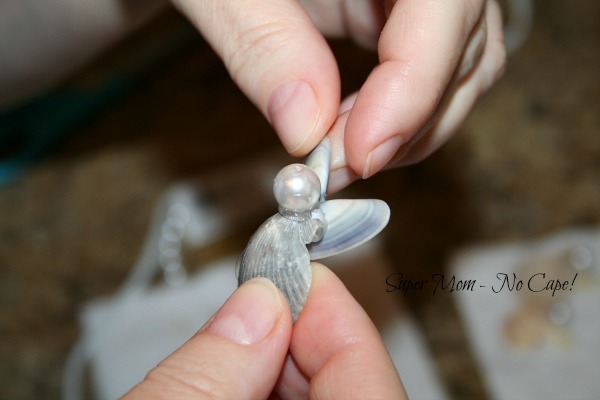 Position the clam shells to form the angel wings and hold in place until set. Make sure to get them positioned just right because once the glue is dry it will be difficult to remove and re-position them. In fact, if you’re using tacky glue, it might be impossible to do without breaking one of the shells. And here you have the completed angel. To make the hanger for your angel, fold the ribbon in half and knot the end. Glue to the back of the angel and come Christmas time it will be ready to hand on the tree. 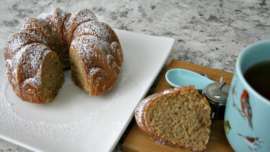 You can even add a tiny bow to some of them if you like. 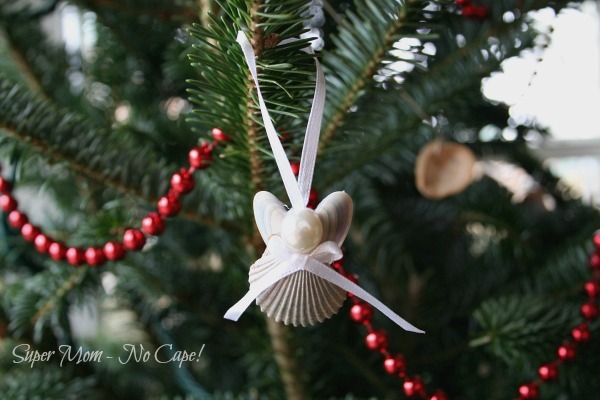 Dave and I made about 20 of these little angels to decorate our 2013 Christmas tree from shells we collected on the beach in Perdido Key. 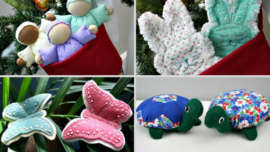 They are safely wrapped up in tissue paper and tucked away for us to use for years to come. 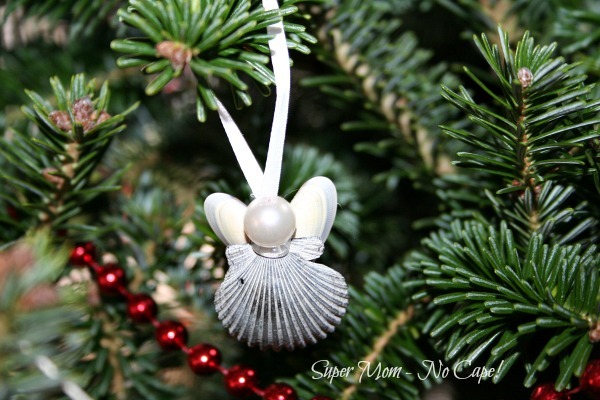 For another really sweet angel ornament check out these Sea Glass & Seashell Angel Ornaments from Erlene at Pinterventures. They are very cute little angels. 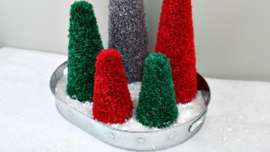 Having a heap of them on a tree would look very pretty. What a creative idea! 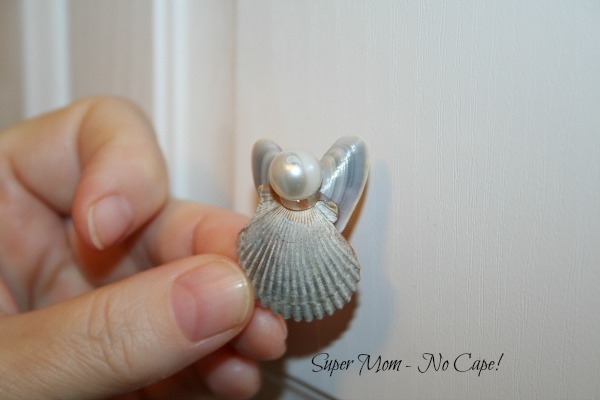 These little shell angels are wonderful. Thanks for sharing them. Enjoy your creative day! She’s so sweet! Thank you. What a cute idea! 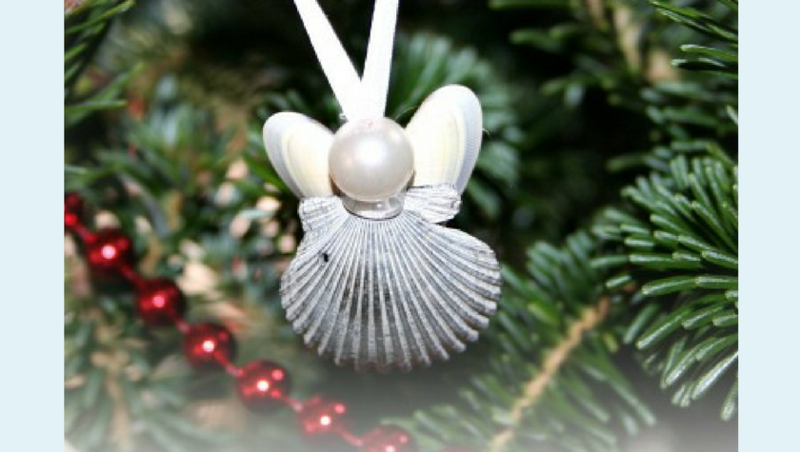 This summer I must remember to take some shells from the beach for next Christmas!